Here’s a request for help from National Audubon. In past years, all the birders who went out in the field to count birds helped pay for the staff that compiled the information for the whole continent. Each pair of eyes behind the bins paid $5 to have his/her total included in the big count. Two years ago, Audubon decided to drop that requirement and this year, they came up with a novel way of getting us to pitch in to fund the effort. 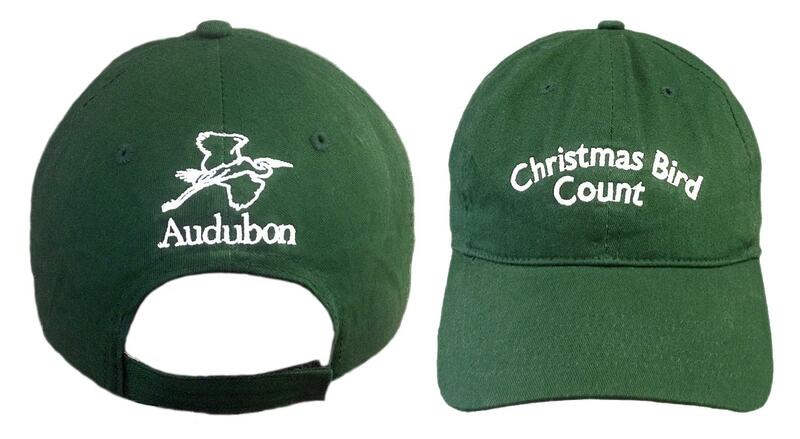 You too can own a special Christmas Bird Count baseball hat for only…. I look forward to seeing those forest green caps in December, …and before, and after!